Hi Simmers! I'm Ryan Vaughan, Lead Producer on The Sims 3 Seasons Expansion Pack. I hope you're ready to break out your umbrellas and prepare for a storm, because as you may already know, we just announced that The Sims 3 Seasons will be launching this November! I personally am very excited to be working on this expansion pack, not just because of all the brand new content and gameplay it brings, but also because it is one of the most highly requested expansions for The Sims 3! With tons of new features and dramatic weather effects, plus brand new seasonal events, celebrations, and festivals, The Sims 3 Seasons will transform your Sims' lives in ways never before possible. Of course, weather and seasonal changes are a big part of this game. Whether it's a spring downpour, a summer heat wave, or even a winter snowstorm, weather and seasons transition naturally over the course of the year, allowing your Sims to interact with the open world environment like never before. But don't worry— if you happen to live in Siberia and never want to see another flake of snow again, we've got you covered! Seasons and weather are completely controllable via a brand new panel in the options menu. You want to experience winter for just one day? You got it! For the first time ever, your Sims can celebrate the change of the seasons with other Sims at the brand new festival lot. Any world that you're playing in (except for the vacation worlds in The Sims 3 World Adventures) will feature a unique festival during each season, complete with loads of fun new objects and events for your Sims to partake in. Sims can get into the spirit of summer by competing in a hot dog eating contest, or embrace the essence of fall by carving a pumpkin and touring the haunted house! Your Sims can take a trip to the kissing booth in the spring, or even join an epic snowball fight in the winter. There’s lots of fun to be had at the local festivals! For the first time ever in The Sims PC/Mac franchise, your Sims can head out into the ocean for a swim in The Sims 3 Seasons! 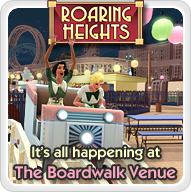 Whether it’s taking a dip off of the sunny beaches of Sunset Valley, or going for a paddle around the murky waters surrounding Bridgeport, your Sims are no longer confined to swimming only in pools. Explore previously unreachable areas in the world, or take along a floatie lounger for some relaxation! Your Sims can even brave the icy waters during winter in search of the Polar Bear Club moodlet! Your Sims can head to the winter festival or plop down the snowboard half-pipe in their very own backyards to start learning how to snowboard! Practice makes perfect; the more time your Sims spend on the half-pipe, the better they will get, and the more EPIC the tricks they'll be able to do! Hmm, I think this is called football for the rest of you? That's right – you've been asking for it for a while, and now it’s finally here! Your Sim can now compete in an epic shootout against another Sim, practice on their own, or even take part in a tournament! Just place the brand new soccer goals in Buy Mode, and watch any open space turn into a soccer pitch! That was just a glimpse of a few of the brand new features and objects that will be included in The Sims 3 Seasons. Of course, as with any expansion pack, it will come with tons of new fashions, furniture and even a brand new way to build houses with blueprints. Stay tuned for more details that we'll be revealing during The Sims live broadcast on Friday, August 3rd at 10am PST here: http://www.origin.com/the-sims-3-supernatural-live-broadcast-2 or by checking out the blog pages of the SimGurus. We plan to keep posting info and answering questions all the way through the launch of The Sims 3 Seasons in November. And, as always, feel free to send us a Tweet on Twitter! I'm sure you guys already have tons of questions, so I've worked with some of the other SimGurus to put together a list of answers to questions we thought you might have. Don’t see your question here? Feel free to tweet me @SimGuruRyan! Q: What's The Sims 3 Seasons all about? A: With The Sims 3 Seasons Expansion Pack, you can play with life in new ways as you experience fun for all seasons and revel in the spirit of your favorite time of year. With all-new activities, seasonal festivals and celebrations, plus new foods, décor, fashions and weather effects, your Sims can enjoy the bounty and beauty of the ever-changing seasons like never before! Q: What new traits and skills are available in this expansion? A: The Sims 3 Seasons introduces the new traits "loves the cold" and "loves the heat." Sims with these traits will enjoy more extreme temperatures, finding the cold or heat pleasant rather than uncomfortable. 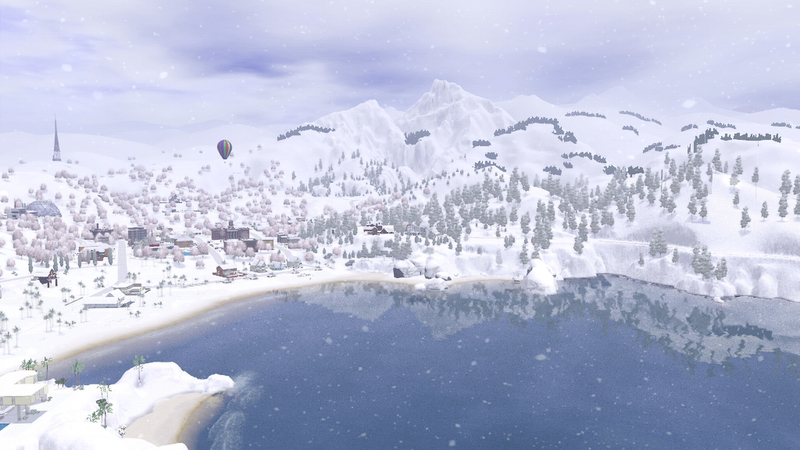 Soccer and snowboarding are skills that are new to The Sims 3 Seasons. As they practice, Sims will progress and improve over time in a natural progression. Q: What new weather effects can we expect? A: With the new transformative weather effects in the game, you can expect to see lots of new changes in your Sims' worlds. From a snow-covered winter wonderland, to spring rain showers and bright summer sunshine, to changing leaf colors in the fall, The Sims 3 Seasons brings a variety of all-new creative possibilities. Brace yourselves for hail, fog, thunder, lightning and more! Q: Are there new careers? A: While there aren't any full new careers, there is a new part-time job that only Aliens can get by becoming a "Test Subject" at the Science Facility. Q: What are the new seasonal celebrations? A: Each season has its own celebration, where Sims gather for festivities, complete with seasonal activities, food, decorations, objects and costumes. Your Sims can go ice skating, visit the snowball fight arena, stop by the kissing booth for a smooch, go on an egg hunt, get their face painted, watch fireworks, bob for apples, enter a pie-eating contest and more. Q: Can you participate in activities like swimming and snowboarding year-round? A: Yes, Sims can participate in fun activities such as swimming in the ocean and catching some air on the snowboard half pipe regardless of the season. For instance, when it’s warm out, Sims can head to the beach and cool down with a splash in the waves. During the cooler months, Sims can get the "Polar Bear Club" moodlet by venturing into the bone-chilling waters during the dead of winter. Sims can also perform tricks on the snowboard half pipe, which will be covered with artificial snow during the warmer times of the year. Q: What are some of your favorite objects in the game? A: One of the fun new objects in The Sims 3 Seasons is the diving board, which allows Sims to make a splash at the pool, whether plunging in with a big cannon ball or slipping into the water with an elegant swan dive. The Sims 3 Seasons also introduces umbrellas for the first time in The Sims, which will definitely come in handy for those spring showers! Q: Will there be new music is in this EP and will there be holiday songs? A: There will be a number of new songs that your Sims can rock out to in The Sims 3 Seasons. While there aren't any holiday songs, short musical phrases will be included in the game to celebrate the various seasons. Q: Will weather be able to be taken into other EPs? A: Yes, weather effects will be compatible with all previous expansion and stuff packs within The Sims 3 except for the vacation worlds in The Sims 3 World Adventures. Q: What are the best new features you would recommend to new players? A: One of the exciting new additions to The Sims 3 Seasons is "Blueprint Mode", which players can enter in build/buy. With this new feature, players can create or edit lots by easily placing down pre-made room layouts. Players can modify the finer details of designs, décor and furnishings after they are done placing their selected blueprints. Q: What is the occult in this game? A: The Sims 3 Seasons introduces aliens for the first time in The Sims 3. Aliens are the occult for this game, returning from The Sims 2 with some intriguing updates. Stay tuned for more info about what aliens can do in the game! Q: Will there be new romantic interactions? A: Yes, there are a variety of new romantic interactions in this expansion. Your Sims can ask for a kiss beneath the mistletoe, send love letters, use the love tester machine and even create online dating profiles! Q: What new CAS options are introduced in this pack? A: This expansion allows you to outfit your Sims with new styles for every season, including snow gear, swimwear, raincoats and more. There are also new clothing options for toddlers, children, teens and elders, including new snow clothes and accessories for toddlers and new Halloween costumes for all ages. There are also a range of new hairs, featuring winter hats and the option to create completely bald Sims for the first time in The Sims 3!